Ask any of my cooking friends and they will probably be able to tell you that my favorite kind of desserts are fruit desserts. 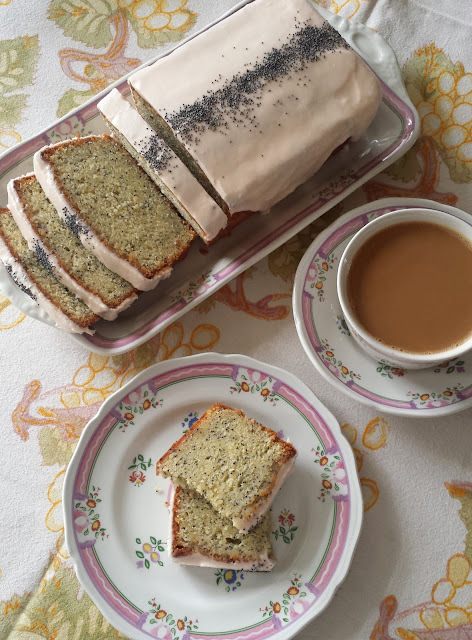 Yes, I know I have said many times in this space that I love cake, but my favorite kinds of cakes are those that include fruit—Rhubarb Cornmeal Cake, Blueberry & Pecan Buttermilk Tea Cake, Apple Crumb Coffeecake, Pear and Ginger Upside Down Cake, Plum Cobbler.... The combinations and variations are endless and so delicious. And of course I love the fact that a fruit dessert is inherently a reflection of the season. In terms of return for effort though, my favorite fruit dessert is the crisp. Anybody can make a fruit crisp. One need not possess the ability to turn out a tender or flaky crust as for a pie or a tart. Neither is it necessary to be able to make a light biscuit as for a shortcake or certain kinds of cobbler. You don't even need to know what it means to whip cream to the chantilly stage as for a fool. Just combine some flour, sugar and spices in a bowl and add some cold sliced butter. Stick your (clean and dry) hands in the bowl and begin to grab handfuls of the ingredients and methodically rub your thumbs across your fingers to "rub" the butter into the dry ingredients until you have a crumbly mixture. Add nuts or oatmeal and you're there. I was reminded recently of how much I like crisps when I saw that my friend Katrina (Baking and Boys) had posted the Apricot and Cherry Crisp that I had demonstrated in a Spring Fruit Desserts Class. It came to mind when I was asked to bring a dessert for a dinner at a friend's home. Plums are in season now, and like apricots (all stone fruits actually) they make a pretty stellar tasting crisp. The tart flavor of the cooked plums stands up well to the sweet topping. When I make crisps I almost always use more than one kind of fruit. Even if it's just as simple as combining two different varieties of apples, I think using more than one fruit gives necessary added dimension to the final flavor. One of my favorite fruits to combine with plums is raspberries. You could use frozen, but raspberries are also in season right now, so they make a natural partner for the plums. Not only do these two fruits taste great in combination, when they are cooked together, they turn a deep, jewel-like reddish-purple that is mouth watering. When I went to the store to buy my plums, the pluots looked better, so I got those instead. Like plumcots and apriums, pluots are a cross between plums and apricots. I am not familiar with the intricacies in the differences between these crosses, but since I like both apricots and plums in a crisp, I thought the pluots would be good too. I was amazed at the scarlet-tinged flesh of the pluot since I was expecting the paler interior of a plum or even the orange-colored flesh of an apricot. Their color when cooked was even better than the plums. As far as the flavor goes, I honestly don't know if I could tell the difference (I haven't had a plum crisp since last year). But I do know that it tasted very good and I would make it again with either of these stone fruits when they make their annual appearance. Combine the sugar, flour, salt and cinnamon in a medium-sized bowl. Rub in the butter until the ingredients are combined and have a crumbly appearance. Stir in the almonds and set aside. If you have time, chill the topping. In a small bowl stir together the flour and sugar; set aside. In a large bowl, toss the plums with the vanilla and lemon juice. Add the dry ingredients and stir until all of the flour-sugar mixture is moistened. Fold in the raspberries. Turn the fruit mixture into a buttered 2-quart glass or ceramic baking dish—an 8x10-inch rectangular or a 10-inch round will work. Bake in a 375° oven until the topping is golden and crisp and the fruit is bubbling—about 35 to 45 minutes. Cool slightly and serve warm with vanilla ice cream or whipped cream. Serves 6 to 8. This looks so good and like something that everyone will love! Ah, thanks for the link and the great crisp recipe. I know I'll use it forever with many combinations of fruit.